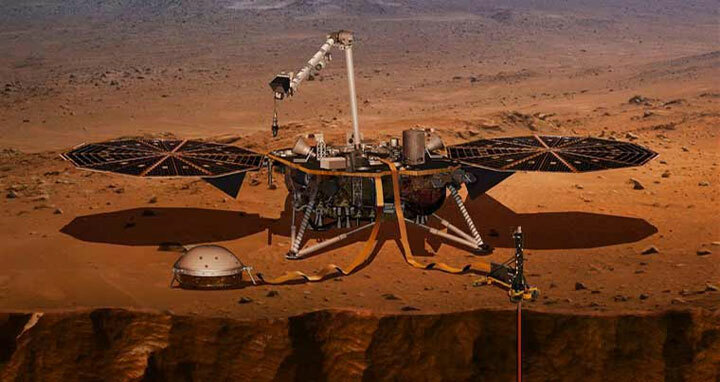 Dhaka, 30 April, Abnews: NASA is set to launch Interior Exploration using Seismic Investigations, Geodesy and Heat Transport (InSight) on May 5, the first-ever mission to study the heart of Mars. InSight, which is the first planetary mission to take off from the West Coast, is targeted to launch at 7.05 a.m. EDT (4.05 a.m. PDT) from Space Launch Complex-3 at Vandenberg Air Force Base in California aboard a United Launch Alliance (ULA) Atlas V rocket, the space agency said in a statement. InSight will be the first mission to peer deep beneath the Martian surface, studying the planet's interior by measuring its heat output and listening for marsquakes, which are seismic events similar to earthquakes on Earth. It will use the seismic waves generated by marsquakes to develop a map of the planet's deep interior. The findings of Mars' formation will help better understand how other rocky planets, including Earth, were and are created. NASA is also launching a separate technology experiment known as Mars Cube One (MarCO), on the same rocket, the statement noted. MarCO consists of two mini-spacecraft and will be the first test of CubeSat technology in deep space. They are designed to test new communications and navigation capabilities for future missions and may aid InSight communications.